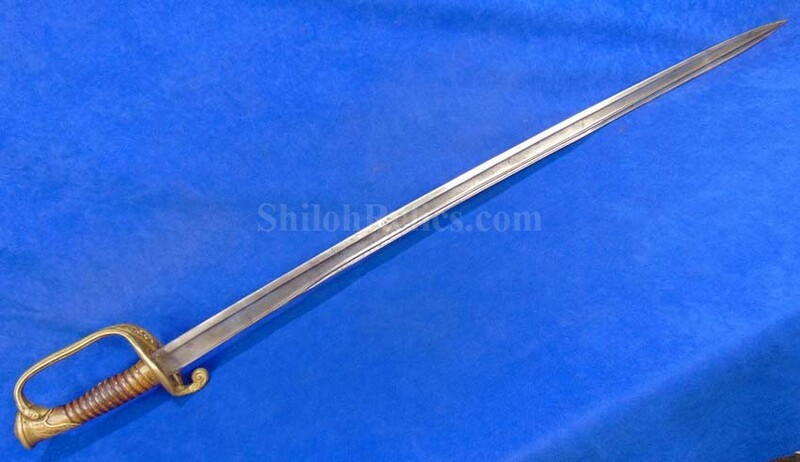 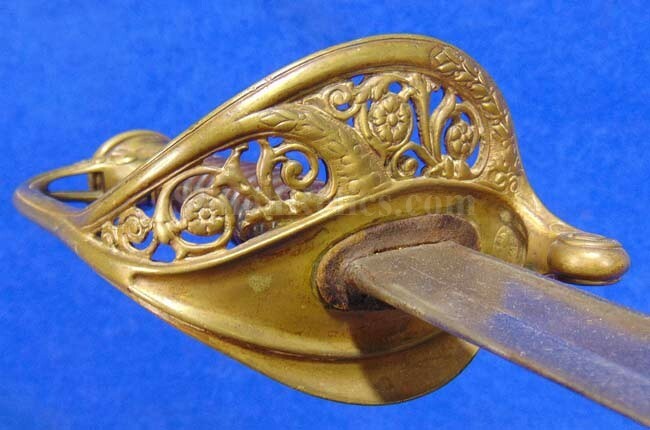 This is a nice looking pre-Civil War sword! 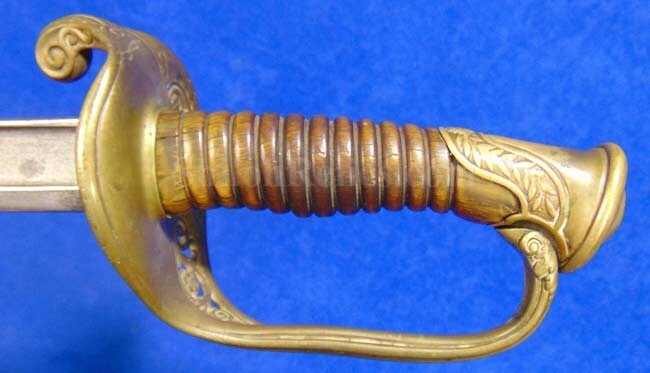 It is an original Civil War era foot officer’s sword that was manufactured just after the Civil War. 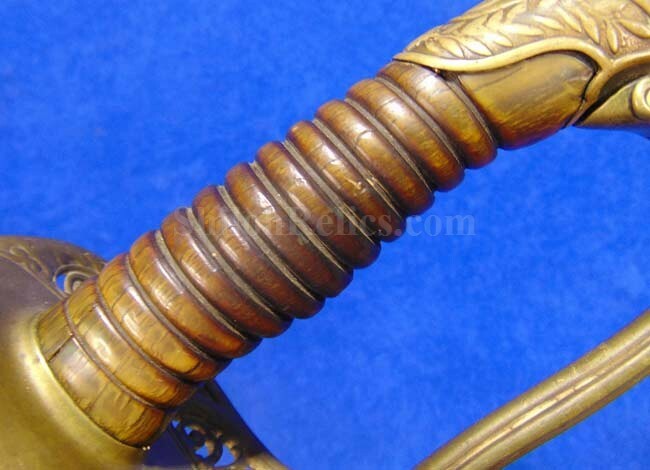 This is the French pattern with the top blood groove fuller on the blade that goes all the way down on the sword blade. 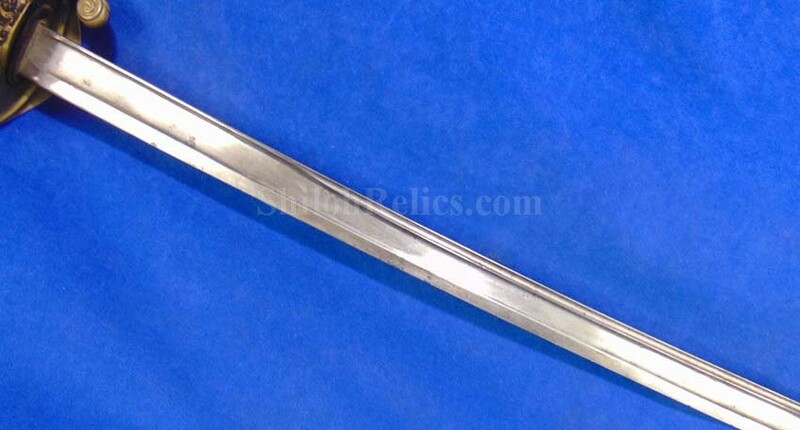 This sword is one of the versions that were made without any etching on the blade. 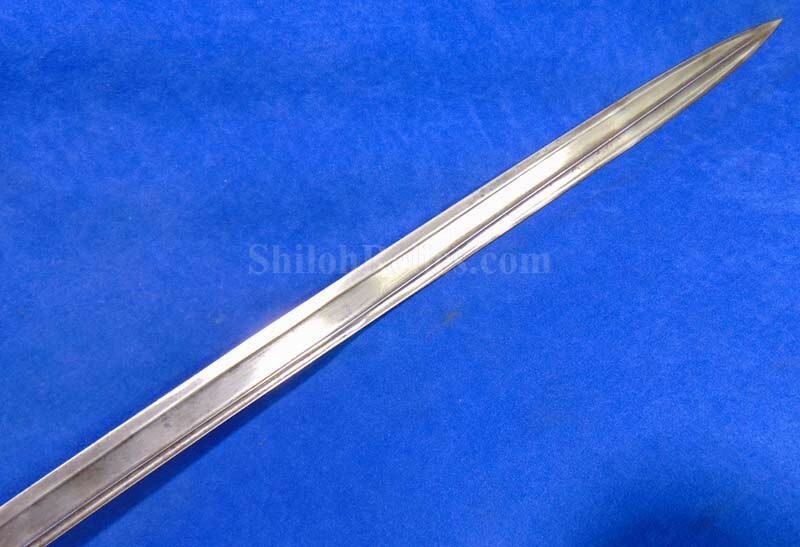 It has the full-length blade with a pleasing look. 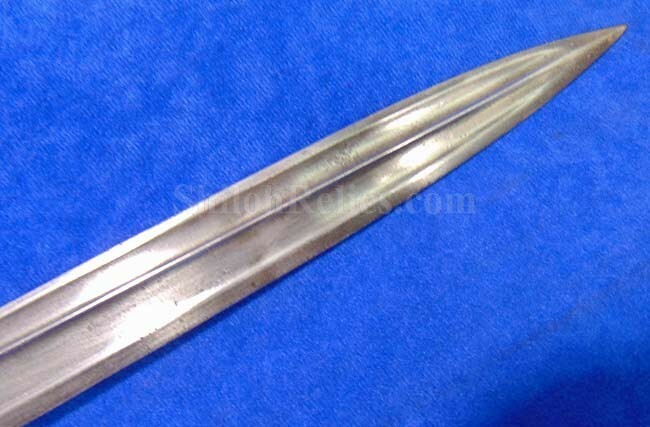 It has a slight wave a few inches from the tip. 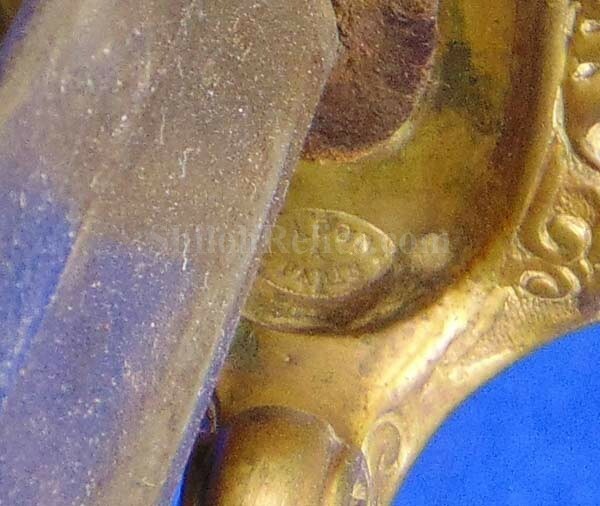 Along the top of the blade you can still very clearly read the Chatternault Arsenal mark. 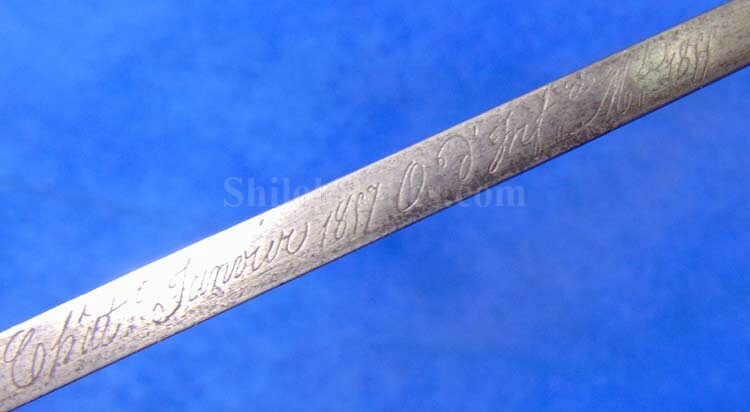 It also has the infantry officers model designation and the production date of January 1857 and notes that ti was the Model 1855. 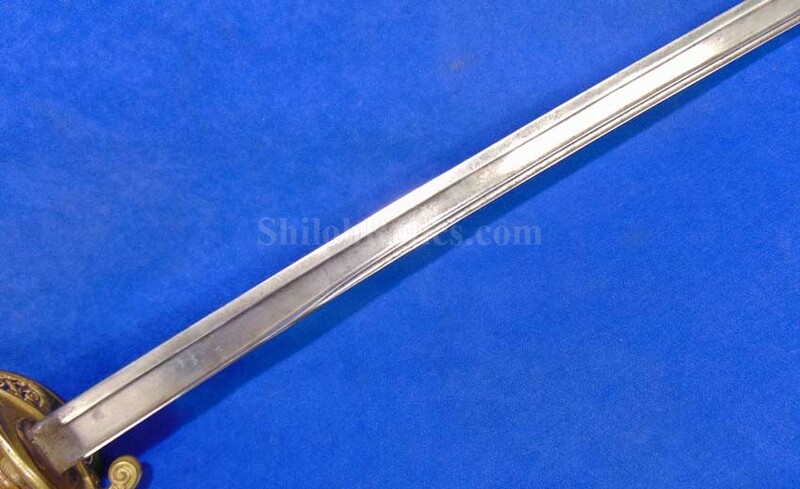 They made swords that were imported during the war and used on both sides but this one would've been a couple of decades early. 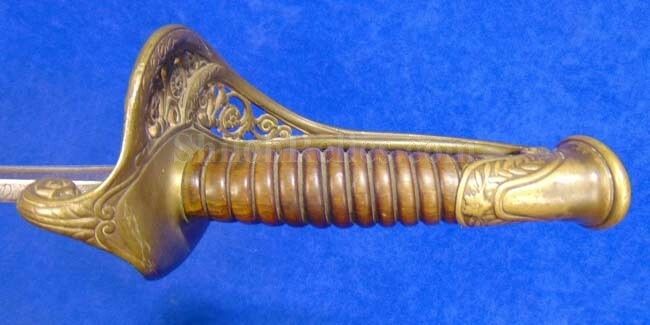 This is the version with the polished horn grip handle and it is present and has a fine look. 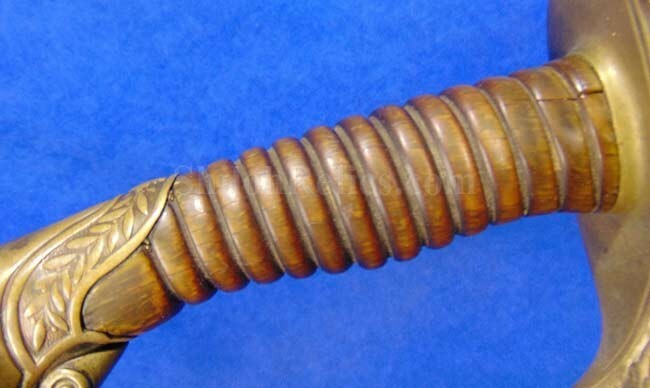 The wire on the handle is missing in action but appears to have been gone for quite a while. 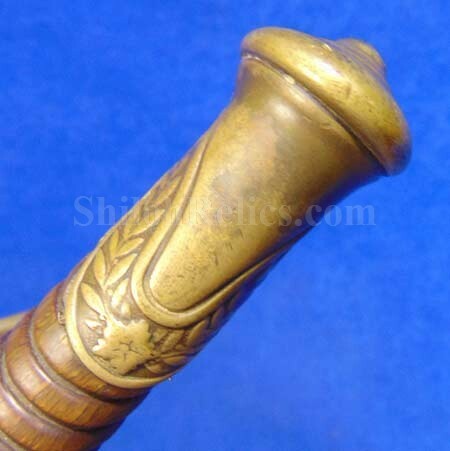 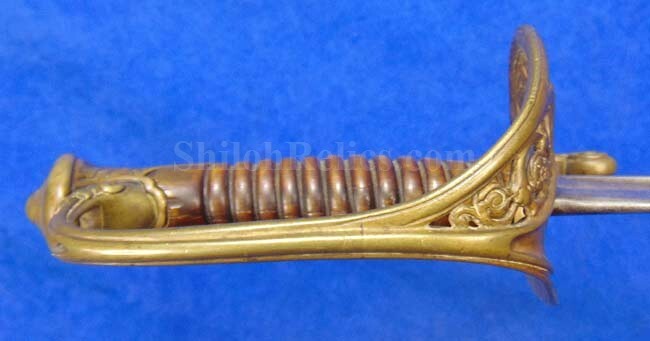 It has the brass handguard and pommel cap with a thick attic patina all over the brass. 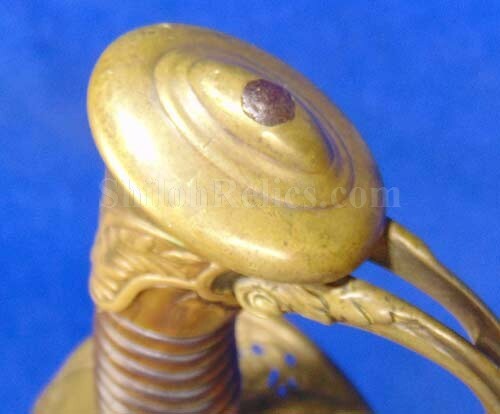 The sword scabbard is missing in action. 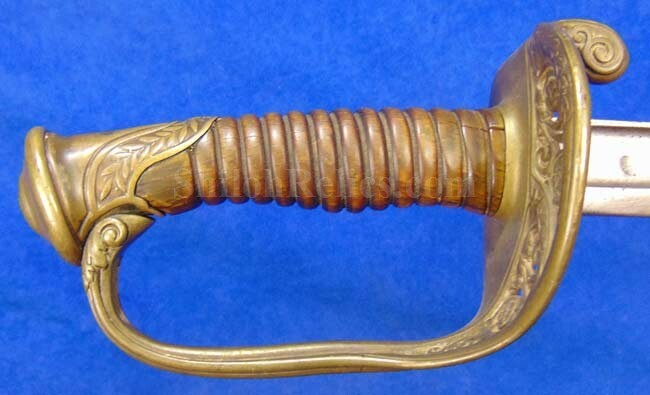 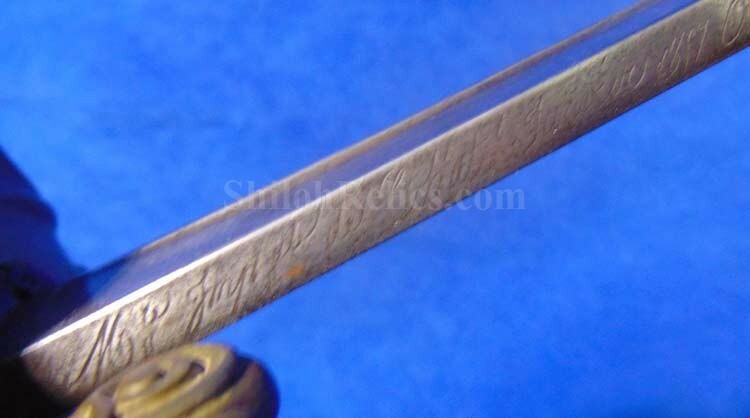 If you have wanted a Civil War era officer’s sword that displays well and doesn't cost a fortune then this one is for you.